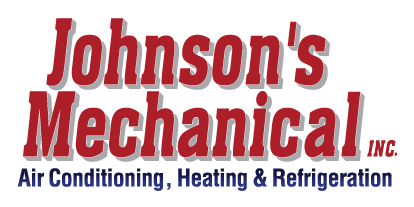 Residential Services, Winter Haven, FL | Johnson's Mechanical Inc. Residential Services, Winter Haven, FL | Johnson's Mechanical Inc.
Our residential services can give you a clean, fresh, comfortable home in Winter Haven. Here at Johnson’s Mechanical Inc., we specialize in a variety of residential services to help you maintain the clean, fresh, and welcoming home you expect. From heating and air conditioning services to ventilation installation and maintenance, we are dedicated to providing you with quality products and services to keep your home comfortable at all times. They say “home is where the heart is,” but it is difficult to connect with a place where the AC isn’t functioning like it should or the winter months leave you chilled to the bone. Our residential services for HVAC systems can help you battle these unwanted troubles by repairing a system that isn’t working properly or installing a brand new system that may be more effective and energy-efficient than your current one. Our team services all makes and models of air conditioning, heating, air quality, and refrigeration systems. This means you never have to worry about whether we will be able to get the job done. Our residential services mean one call, and you’re done. We take care of everything because your 100% satisfaction is what we strive for. In addition to our heating and air conditioning services, we also install duct and ventilation systems. Clean air, a fresh home, and a comfortable living space are what every Winter Haven, Florida homeowner strives for. With the help of our team at Johnson’s Mechanical Inc., your home will be your family’s safe haven year round. Trust us for all your residential HVAC and ventilation service needs. Give us a call today to learn more or to schedule your first appointment.